MMS, (Multimedia Messaging Service), is the ability to send messages including pictures, videos or audio content to devices. MMS marketing is continuing to grow as an effective and widely accepted form of marketing communication in addition to normal text marketing, (SMS). Sending picture messages has been proven to be more effective than text messaging alone. It is especially more successful than email for local store marketing. Recently, a chain of convenience stores located in Middle-Tennessee focusing on fresh food & great service in hopes they are so good to their customers, they will want to visit twice a day. They want customers to visit in the mornings for fresh coffee and come back again on the way home for an artisan sandwich or an after-school snack for the kids. They are a growing company with more stores opening every week! This company does a great job with their marketing, partly because of their mobile marketing and customer engagement strategy. Their goal is the get customers to visit twice a day and they have been successful doing just that. 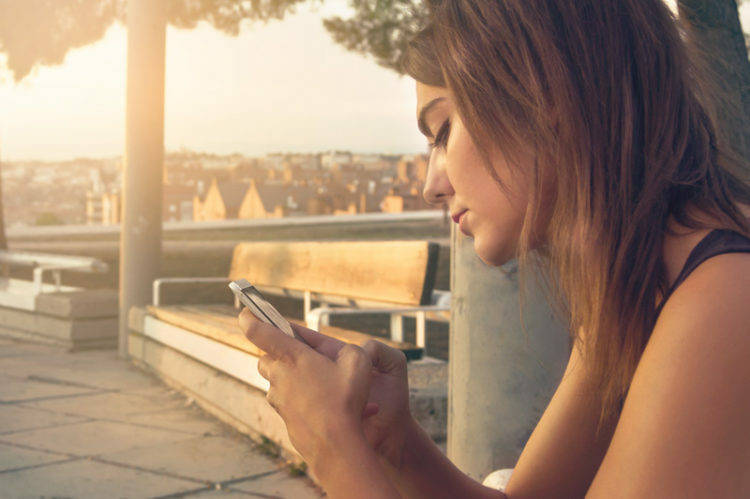 They consistently use SMS marketing to engage customers with the use of auto-responders, bounce back offers and regular text alerts to subscribers. They are careful and deliberate in their messages, being sure not to over message their subscribers while still staying top-of-mind and offering deals of value to their customers. MMS marketing gets more attention. Lately, they have tried MMS marketing to further get the attention of their subscribers. MMS messaging allows them to both show an image of the product they want to sell while also displaying their offer on top of it. MMS marketing also allows them to send the SMS message along with the image at the same time. 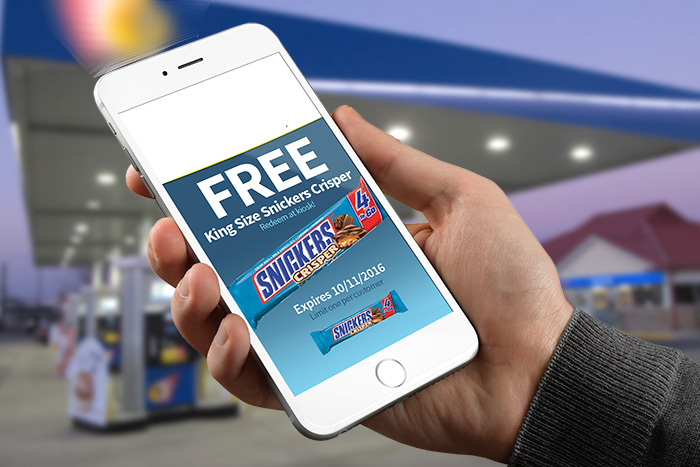 Just last week, they sent a textALERT offering a FREE King Size Snickers Bar. It became their 3rd best campaign ever! With a redemption rate of 5.94%, they drove in many customers into their stores to redeem the offer! Three days later, they sent another MMS marketing campaign featuring a FREE Chess bar for National Dessert Day. They had 4.2% of their subscribers come in and redeem that offer. One of the main difficulties of convenience stores today is to get customers to come into the stores. MMS marketing has been extremely helpful with this daily challenge. 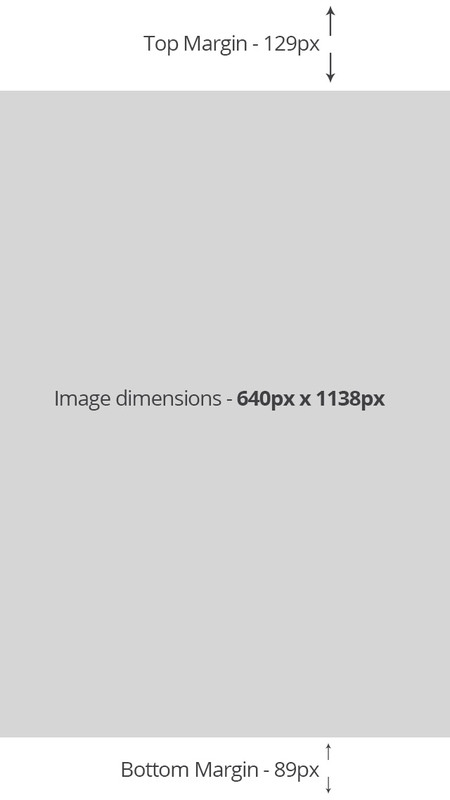 Download a template to get your MMS image the correct size every time. Use a template to get started on the right path with MMS Messaging! Here you can download either a specifications document to use to size-up your image before uploading it or a layered Photoshop document to use for easy Photoshop MMS image creation. These two files will help you create a better MMS image. It is important to not cut critical sections of your image off either in the preview or when the user opens it.